Whack, whack. Suddenly those frame horns ain't looking so horny. Here you can see the relationship between the spring, the axle and the grill shell. Tasty. 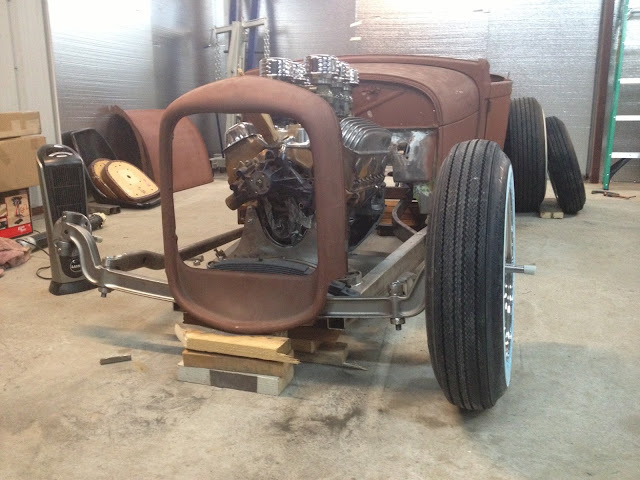 The Model A's frame got a little more compact, as Mr. T shortened the front rails. 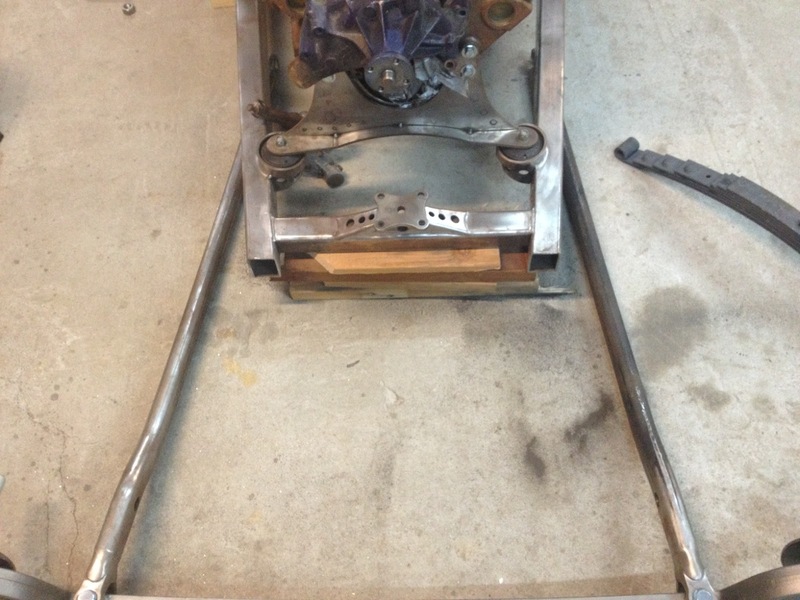 If all goes as planned, the drop axle will tuck below and behind the grill shell. Very excited. Also loving the front tires, recommended by Eric @ Riley Auto, who sold me the USA-made 4" CE Drop Axle and the front spring and spindles. Highly recommended.